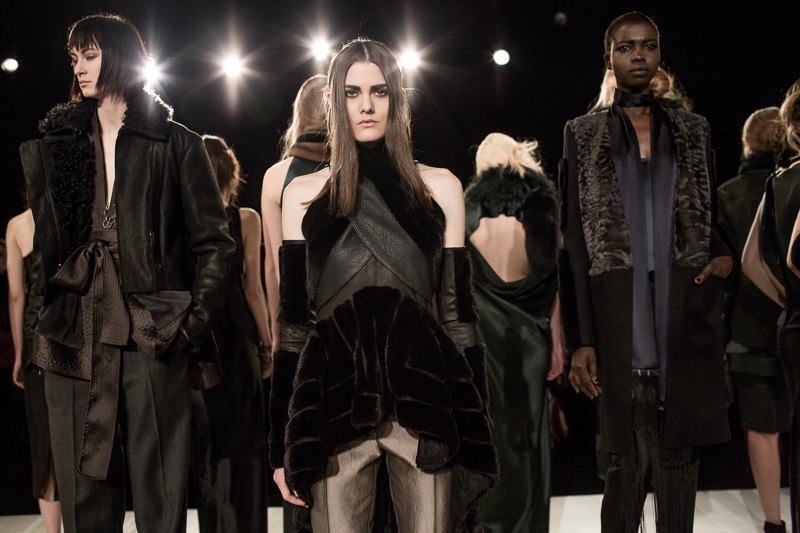 The Vaute collection for autumn/winter 2013 is one of a kind, and the first 100% vegan RTW line to be introduced at New York Fashion Week. 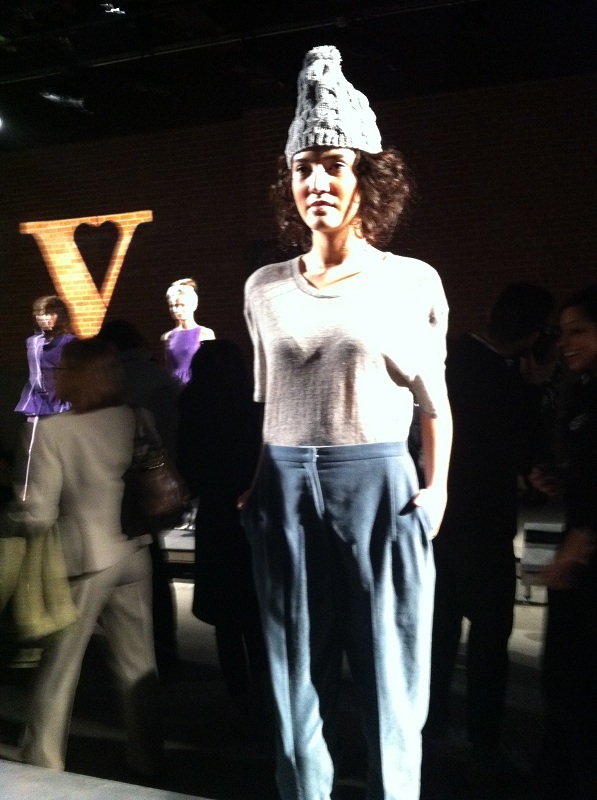 Leanne Mai-ly Hilgart, founder and creator of Vaute, brings an urban collegiate, simple style. The designs surround the viewer with awareness of organic-based fabrics, some recycled, to support Hilgart’s concern for the fashion industry. Hilgart grew up in Chicago, and at a young age understood the need for warm clothes in the winter without the use of fur. Her care for the earth and animals was apparent. At 12 years old, she designed a t-shirt with her first slogan in order to raise money for the local animal shelter. She spends most of her time researching and developing ways to produce clothing without harm to nature or animals. 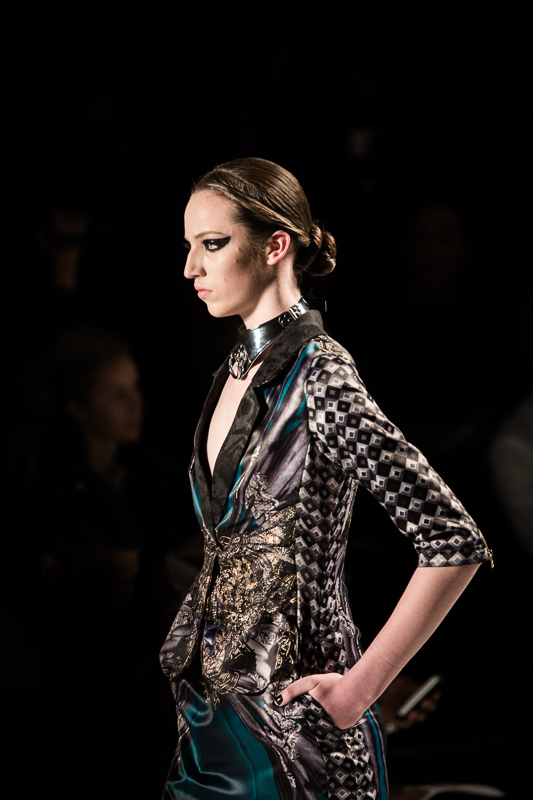 At her first RTW fashion show held on Friday, the models did not walk down a runway, but stood on brightly lit platforms calling attention to this unique collection. 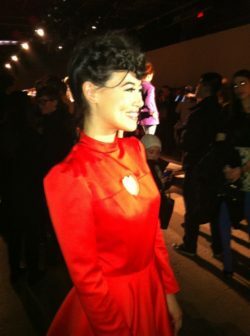 All 22 looks were expertly made of completely organic fabrics, and followed fashion’s current youthful clothing trends. 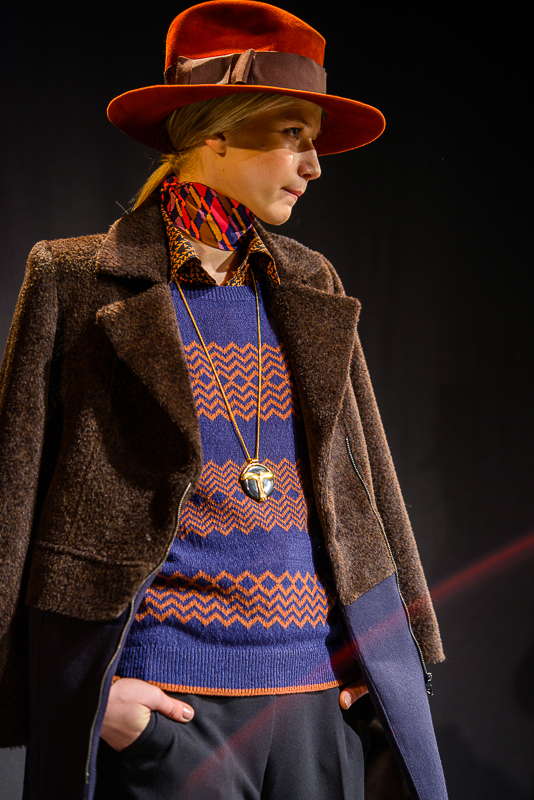 Cobalt blue coats, creamy knit sweaters and preppy menswear were styled with the cutest dogs provided by the Humane Society. 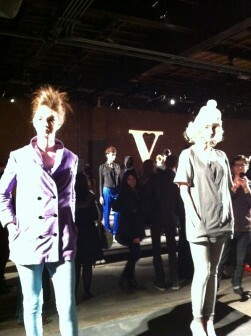 Vaute’s womenswear introduced a palette ranging from the lightest lilac to dark charcoal. 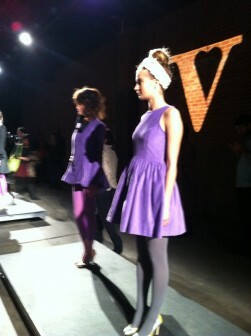 Dresses made from organic velvet showed a large bow at the back waistline. Toothpick pants were topped with cropped zipped front jackets, including a skinny overall from organic cotton. Hair was styled in airy angelic waves and woodsy French braids, and make-up in soft, shimmery hues. Hilgart’s collection was not the most original in design, but delivered a stylish and innovative choice for even those who are not passionate about veganism. 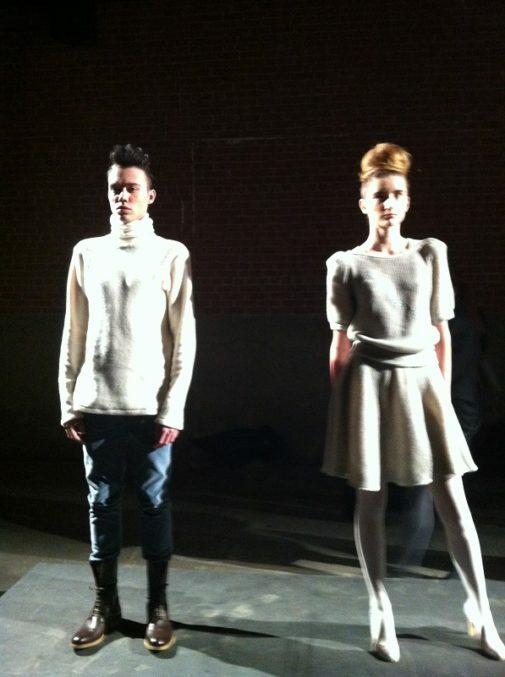 Vaute will inspire even the most environmentally unconscious to demand Hilgart’s efforts in future RTW design houses.